This entry is to announce the end of Clickbait Spoilers, even though so far there have only been three. It has been very frustrating opening sites, just for you I might add, that are slow to load, crash my computer, and have lots of horrific little pictures enticing me to click more and more. I thought that maybe I was adding some value to the world by making sure you didn’t have to click on the lure of “you won’t believe what happens next,” and in doing so maybe making you laugh at the foibles that are the life and times of internet living. But the suffering was just too great. I see these clickbait headlines and just wonder why the person who shares them just doesn’t tell us why the woman cried after hearing “this” for the first time, or the two words you don’t say to breastfeeding mothers, or whatever it is these sites are trying to get us over there for. And Christians are the worst propagators of this very thing. I suppose I understand that people want more clicks on their sites because it generates revenue, I guess; I wouldn’t really know about generating money from your site. I just have felt dirty when I click on these; again I want to say that it has been just for you. I wonder about whether or not Christ, or more specifically God, was a clickbait kind of guy. “Noah! There is a giant wooden thing I want you to build, and you won’t believe what I’ll do when it’s done.” Does it matter that Noah was obedient or was he curious about it and decided to click? “Give me five loaves of bread and two fish, and you won’t believe what happens next.” Would it be that some people just didn’t stick around to find out? Most people, in fact I might be persuaded to say that all of them decided to see what did happen next, and you know what? It paid off baby! There was a time they didn’t stick around to find out what happens next and that is when Jesus told them that they had to eat His flesh and drink his blood in order to have life. Can you imagine what kind of clickbait headline that would have to be to drive away people today? People have this insatiable curiosity to the lure of being shocked, or not knowing, that it almost drives us to it. But it seems as if these promises of amazement leading to us shrugging our shoulders and just saying, “Meh…” adds to the sense that there is nothing incredible anymore. I see on that one site that so-and-so has liked this story and it gives you a subtle sense that something might be valuable in clicking: I usually don’t. But when someone shares it, and doesn’t actually tell me what it is, it makes me mad, because what little value I have placed on our “friendship” leaves me to wonder why they want to lead me astray in a clickbait catastrophe. Sure, most don’t think about what they are sharing as trouble to people like you and me, as it really isn’t, but that culture of “Tonight at six we’ll tell you why this mother beat her son in public and she has been lauded as a good example of parenting,” makes me a little sick inside, especially after this foray into finding out things for you that you normally wouldn’t click on. And that is the thing, isn’t it? That it doesn’t really pay off. Maybe it might make you think, “interesting” for a second or two, but the only really, truly thing that gives us an ultimate pay off is God. His lure is not false. His promises will not let you down. If you truly know Him and give Him your life, you will know that He is no bait, but He does want to catch you and hold on forever, but for His glory and nobody else’s. I see all these famous people who claimed Christianity for so long and we uphold them… then they deny Him and His Church and fall away. 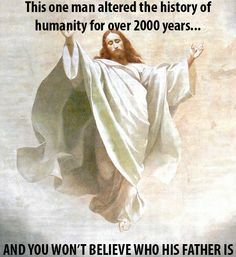 They were clickbaited by something other than Christ. I know the lure of spirituality, but it will never pay off in the end. So long “Clickbait Spoilers,” I hardly knew ye. We had a two-part sermon from one of the newer members in church, finishing it up two days ago. God is humble in its most perfect sense – I thought about how many unbelievers would fiercely disagree with this. He took the example of Kobe Bryant. If Kobe were asked before a one-on-one game with me whether he would win or not, if we considered him a humble man, he would say that he was confident he would win. It’s not a matter that he had such pride he could beat anyone, but knowing his skill, experience and overall strength, it would be most likely he could kick me to the curb. In a way, God is like that: Everything He says about Himself, who He is or what He has done or is going to do, is complete and total truth. Now Kobe, there will be someone who will come around who will be better than him eventually, but God: that is no one who will be greater than Him, He will always do what He says. Pride is the antithesis of humility – Pride is the thing I believe most of the world sees as God’s major attribute. After all, wasn’t it Oprah who said when she was younger sitting in church, listening that God says He is a jealous God, that she rejected this. Jealousy, at least from the human viewpoint, is a huge indicator that someone has much pride. But God, which there is nothing like Him anywhere, I mean He created anywhere, anytime, everything. His jealousy is not pride, it is that He deserves it, He deserves our devotion, our adoration, He is our all in all, for all, whether we understand it or not. Pride comes through boasting, and God doesn’t boast! What He says, He does. Pride has a better idea. Some books he suggested was “Till We Have Faces” by C.S. Lewis. For the younger crowd, “Big Truths for Little Kids” or “Big Truths for Young Hearts” I can’t remember which, but both look good. He ended up by sharing the story from Luke 7:36-50, about the woman who anointed Jesus with expensive perfume. A Pharisee said that Jesus wouldn’t let her touch Him if He knew who she was. Jesus told a story that revealed how much someone may love the one that forgives. The point was, is that the woman said nothing. She didn’t justify herself or argue, she was humbled enough in His presence to let Him reveal her love for Him, and that is what we should do: Not fight or justify ourselves, let God fight for us, for it is already won. It won’t always be easy, but we are not to fight for ourselves because the battle is won and Christ in the victory. God doesn’t want us to have things or places built in His honor. In fact, when God gave the blueprints to Moses of the place where they were to meet with Him, the Jews may have been a bit disappointed. After all, look at what happened immediately after Moses showed them the plans: they built a golden calf, a symbol of God. You can imagine them saying, “This god needs our help, he needs something of honor and richness to represent him.” God is uncreated, so He cannot allow something created to represent Him. The Jews may have been those who helped build those Pyramids. They had over a million people in their group, who had taken all the Egyptians goods that God have them give away. And this is what God wanted them to build? A tent? It makes much sense. We want to make magnificent things in God’s honor, but all He wants is our life. 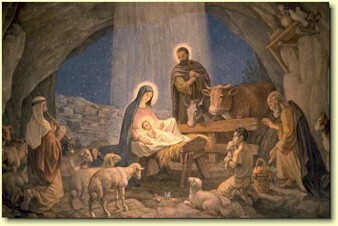 You know, it is hard to find a “humble” nativity scene. Either the baby Jesus is glowing like a star or some magnificent light is shining down on him, stars glowing brightly, lights all around, maybe they are in some structure or such. But the truth is, He started out in a dark, stinky, lonely, scandalous cave. “Scandalous?” you say… Perhaps. The speaker made a point in saying that if we had to go back to our town for the census, we would know someone, we would be among our people, and even more so with the Jewish family back then. There would be a place for us, especially if our wife was due imminently. But scandal surrounded this couple, this birth, this humble beginning. This God, this single, one and only, true God reached down out of eternity to touch us. The grandness, the magnificence, the beauty, the mystery keeps people away. God came in a cave. He touched those who had to call out “unclean!” He humbled Himself for us. We are His temple. He has chosen to tabernacle with us today. Question One, inspired by this article. There is a place in the world for people to ride on bikes, backwards, down a San Francisco hill, toward a pier leading out to an open ocean full of sharks and blood, for the fun of it. But, that part of the world is not one where I would fit in well. This world, in this era seems to be a point of excess never seen before. That may sound cliche, and possibly not very true, but in my time and my world, it’s the truest you’d ever know about me. The most challenging thing I’ve done lately is eat a tomato when the doctor told me not to, and the last time I had one, I suffered excruciating pain for three hours. But, it is also not to say I wouldn’t take up a challenge worth training for. 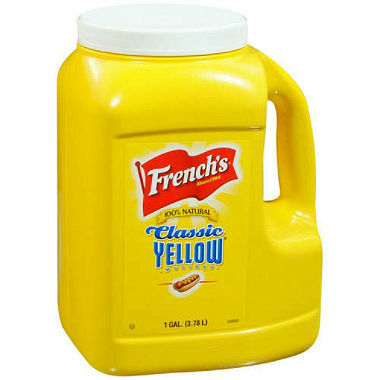 I mean, I wouldn’t just grab a two gallon vat of mustard and enough corn dogs to dunk, twist and swirl my way to the bottom, gagging down the meaty-corniness and vinegary yellow heaven, without at least two months of training on ham, shrimp, and balsamic vinegar sandwiches! Who would? I wouldn’t take the risk without the training. For example: Do you remember that crazy guy who crossed the Grand Canyon on a tightrope? Well, he thanked Jesus for getting him across safely, but as a tweet from Ricky Gervais so eloquently pointed out, “Well done Jesus for getting that bloke across the Grand Canyon safely. I bet he feels silly for wasting so much time practicing now.” I bet a lot of Christians were insulted by that remark. I am not so much offended by the sarcasm of the world toward us Christian folk, because we are so easily offended, but I also understand the truth that we cannot just enter into something as dangerous and stupid as crossing a chasm larger then a double wide trailer in a fancy Alabama retirement park without some sort of training. I for one would thank Jesus for getting me to the bottom of that vat of mustard, whether I trained for it or not. Would people be as amazed and full of wonder at my God who got a “bloke” fresh off the street, into winning a mustard eating contest utilizing corn-dogs as it’s medium, then if I had trained for six months and still thanked him? Perhaps they would think me just as stupid for eating that much mustard and corn-dogs whether I thanked Jesus or not. Yes, I understand you see the difference between eating a sink full of mustard with a bushel of corn-dogs and walking a high-wire across an immensely amazing canyon. But, if this amazingly brave, and stupid man had not thanked Jesus, what difference would it have made to the world? Nothing perhaps. But my God is bigger than that, He can do anything He wants through whatever idiots He wants. Even if I wanted to eat mounds of mustard with stick-fulls of deep fried corn bread surrounding mysterious pink meat products, He would fulfill His purposes whether I thanked Him or not. But, as I am so thrillingly reminded by the word, “Rejoice always, pray without ceasing, in everything give thanks; for this is the will of God in Christ Jesus for you.” And, yes I can see that perhaps if I took on something as unhealthy as I mentioned multiple times it may not be as glorifying to my God as I may think. But, you never know with, my God.